Gokhan Atil did a post about this upgrade pretty much as soon as it was released, so I’m a little late to the party compared to him. 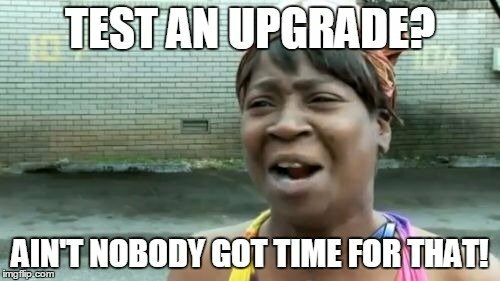 If we had been going for the upgrade approach, I probably would have done it in the next couple of weeks. With clean slate approach, we’ll probably take a few more weeks to get ready for it. No point rushing in and making more mistakes. I would rather let the idea brew for a while before we start. Enterprise Manager Cloud Control 13c Upgrade was first posted on January 7, 2016 at 7:31 pm.